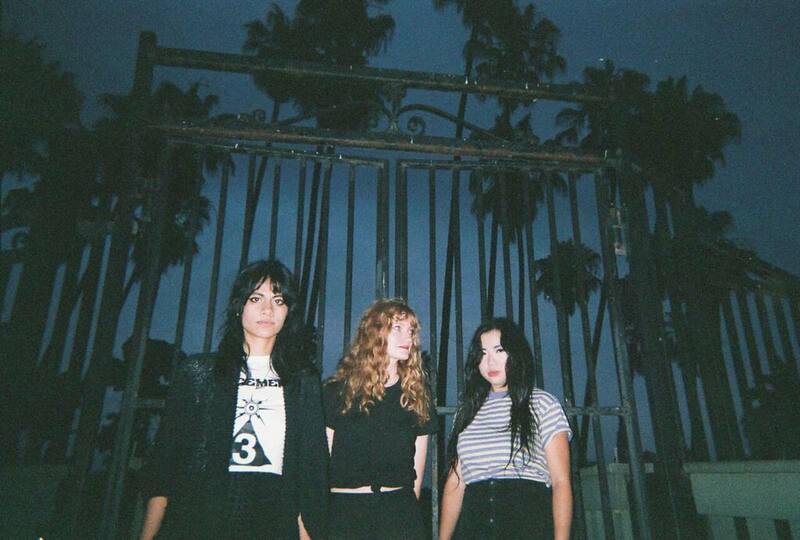 Los Angeles garage-rock trio L.A. Witch – Sade Sanchez, Irita Pai, and Ellie English – are releasing a new 7″ single to celebrate their North American tour with The Kills. The single is question, ‘Drive Your Car’, is a perfect exponent of their signature sound that veers between moody post-punk and explosive blues-punk-garage. It is a just-over three-minute ferocious blitz of scuzz and sass. Amid the reverb, coarse guitars, chugging riffs and explosive drumming are chased down Sanchez’s ghostly, howling vocal. Softening the blow somewhat, there is a hint of the psychedelic chipping away at what is fierce, fierce track. All in all, this combination makes it impossible not to love, and an easy one to enjoy on repeat. You can check out ‘Drive Your Car’ below, the 7″ is out now and comes b-side ‘Ain’t Comin Home Master’. Meanwhile, L.A. Witch will hit the gig trail across North America with The Kills incl. Vancouver on May 31st, in the Commodore Ballroom – full list of dates here.